By the author of Rosemary's Baby, a horrifying journey into a future only Ira Levin could imagine. 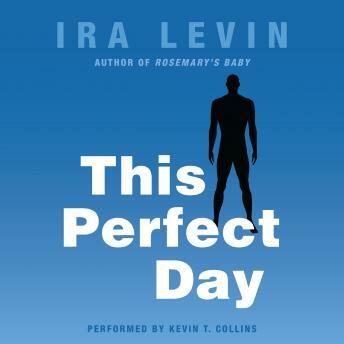 Considered one of the great dystopian novels—alongside Anthony Burgess' A Clockwork Orange and Aldous Huxley's Brave New World—Ira Levin's frightening glimpse into the future continues to fascinate readers even forty years after publication. The story is set in a seemingly perfect global society. Uniformity is the defining feature; there is only one language and all ethnic groups have been eugenically merged into one race called "The Family." The world is ruled by a central computer called UniComp that has been programmed to keep every single human on the surface of the earth in check. People are continually drugged by means of regular injections so that they can never realize their potential as human beings, but will remain satisfied and cooperative. They are told where to live, when to eat, whom to marry, when to reproduce. Even the basic facts of nature are subject to UniComp's will—men do not grow facial hair, women do not develop breasts, and it only rains at night.